Available from version 7.0.3 beta. Note that this is a beta feature. If you run into any issues, we’d be happy to hear about them. Administration Console connection is not currently supported for Azure SQL repositories. 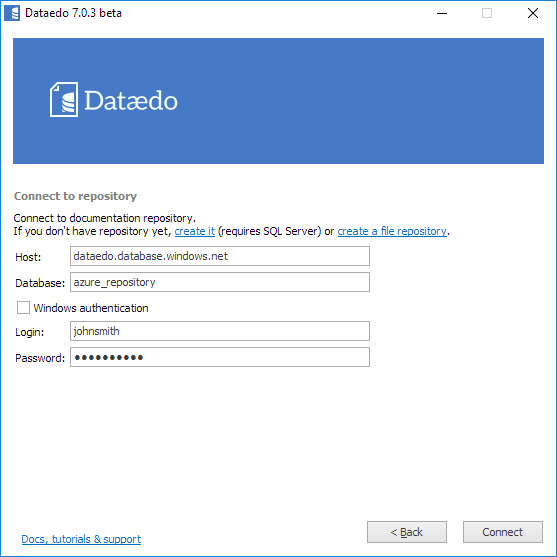 Until now, Dataedo supported file and SQL Server based repository. 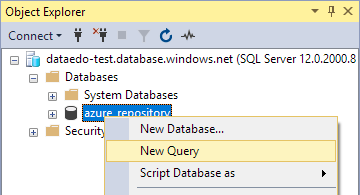 In 7.0.3 beta, we're adding support for storing repository in Azure SQL Database. Current implementation requires manual setup, in future releases this process will be included in our repository creator. To create a repository in Azure, first create an Azure SQL database. Find out more here. Make sure your IP has access to the database by clicking Set server firewall when database creation finishes. Click Add client IP, then Save to add your IP to the whitelist. After clicking your database name, you can copy its hist address by clicking an icon to the right of Server name field. 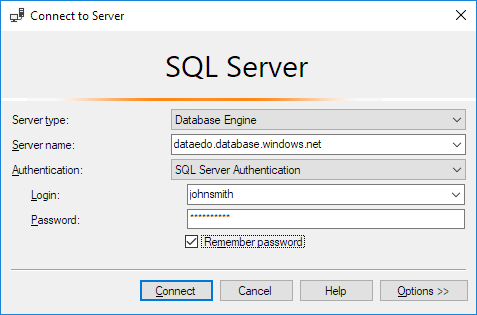 Connect to the database with SQL Server Management Studio (SSMS) using server name copied above. Right click your database, then choose New query. Find the repository creation script named create_repository.sql in Dataedo folder (default path is C:\Program Files (x86)\Dataedo 7\Scripts). Copy the script to SSMS and run it by pressing the F5 key. You should see a Query executed successfully message. If you're going to connect to the repository with previously created user, you can skip this step. Each person connecting to the repository will need to have a database user. 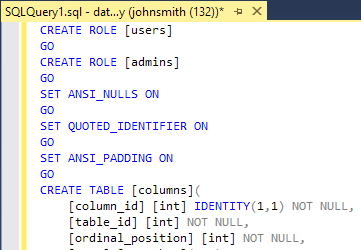 Create database users as usual through CREATE USER command in SSMS. Find out more details here. You can now connect to the repository through Dataedo with the user. 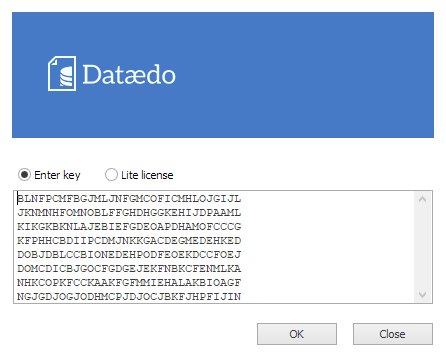 Run Dataedo, and double click the Connect to the repository button. Fill the connection details - host is the server name you've previously copied. Paste the key to the text box and click OK.